Writing the descriptions for photos on Instagram can be difficult; however, doing well increases the engagement considerably. We tell you how to improve your results. How should be your descriptions for Instagram photos? Fun or with a serious tone? Should you include emojis and hashtags? You can read this article that surely keeps some tips for you. Writing good descriptions for photos on Instagram may not be as important as the content you publish on the platform but it is still very relevant because it could be the key to your content being seen by more people. The new Instagram algorithm favors higher engagement posts, and when a photo gets a lot of likes and comments, that tells the algorithm that it’s high quality content that other users might want to see. That way the content could even get to Instagram Explore. A good description for Instagram photos is one that provides context, adds personality and inspires followers to take action. Good descriptions in photos can have different shapes and sizes, from short stories to longer and more detailed stories. In the descriptions for Instagram photos you can include up to 2,200 characters. Longer than many posts on blogs! Photo descriptions on Instagram give brands the opportunity to add context to their photos, or simply communicate with their followers and customers. It’s about creating your own brand voice and being creative. Writing good descriptions for Instagram photos with calls to action is one of the best ways to inspire your followers to leave comments, which helps improve your engagement on the platform. Simply including a call to action in the photo descriptions on Instagram can be very useful as it is an excellent way to inspire followers to interact with your business and get to know them better. For example, you can ask followers to click on the link of your bio, buy a product, answer a question, tag a friend, use your hashtag, branching, etc. Something to keep in mind when writing the call to action is that you can use action words like join, discover, learn to encourage followers to do something. It is important not to leave calls to action for the end of the description. 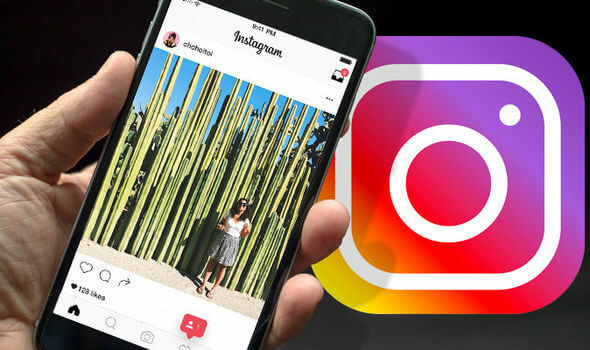 It is better to have the important details at the beginning because after 3-4 lines of text, the descriptions for Instagram photos are truncated. If you are going to do a contest on Instagram, a good way to increase engagement is to ask followers to tag at least one friend in the comments in order to participate. That way you’ll attract more attention to the contest and increase brand awareness by getting more people to participate in the contest. In addition, you can include “contest” or “gift” at the beginning of the description to capture the attention of the people. In addition to having good grammar and spelling, one of the most important parts of any good description on Instagram is the voice of the brand. If you’re just starting with Instagram and want to develop your own voice, one of the best ways to do that is to inspire you with other accounts. Make a list of favorite accounts and once you find some voices that you like, combine them to create the one that best resonates with your audience. You can insert several emojis at the beginning of the description on Instagram to draw the attention of the followers with a little color, so they want to click to read more, or you can replace whole words with an emoji. Mentioning accounts of other users is an easy way to connect with other users and promote yourself. It is more important than ever to be transparent when you are paid to promote a product. It is important to include #announced or #promoted in the publications that are sponsored, and you must do so before the title is shortened, so it is preferable that it be near the beginning. establish long-term relationships with influencers. Use the hashtags in each post on Instagram. Hashtags help organize and categorize publications, which helps the process of discovery and content optimization. To be successful with hashtags, it is important to have a good strategy. The most popular hashtags on the platform are simple words, and although tag #love, #happy. These hashtags may get you more likes, but they will not do much for your long-term growth nor will they bring you a segmented audience. They are specific to your audience. The best way to discover hashtags on Instagram is to monitor the hashtags used by your….. The narrower the reach of the hashtag, the more committed the users will be. The branded hashtags are a great way to start a conversation with followers and increase outreach. It is also a way to get content generated by users. With that you can get more followers and improve the engagement of your Instagram account. 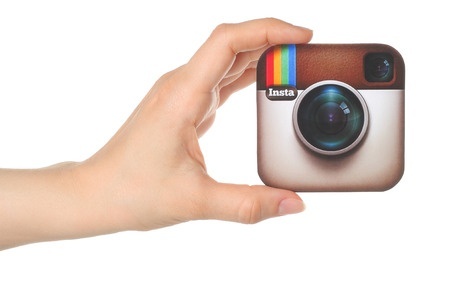 Writing good descriptions for photos on Instagram may seem difficult. But if you want to be successful on Instagram, it’s important to spend time and use creativity to improve your results. How well do you use the descriptions on Instagram? Do you have a tip?